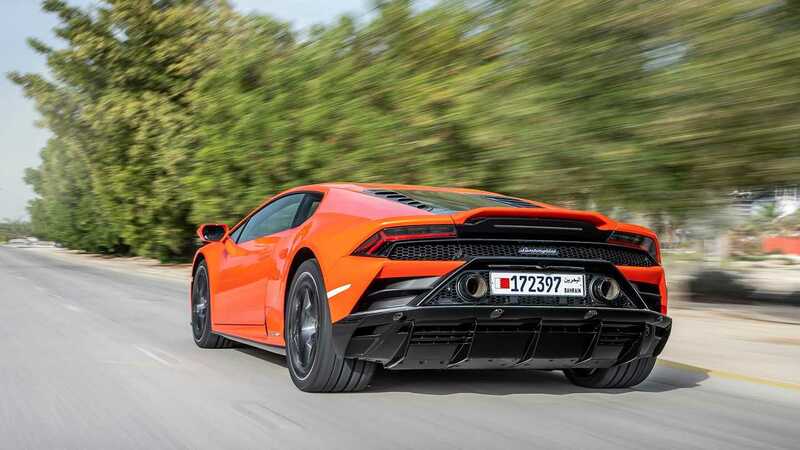 The Evo does add power, however, and Lamborghini's V10 – one that debuted in 2003 on the Gallardo – now rips 630 bhp and 443 pound-feet of torque, or the same as one of the world’s foremost track-attackers: the Huracán Performante. That’s also 29 bhp and 30 lb-ft up from the standard Huracán. 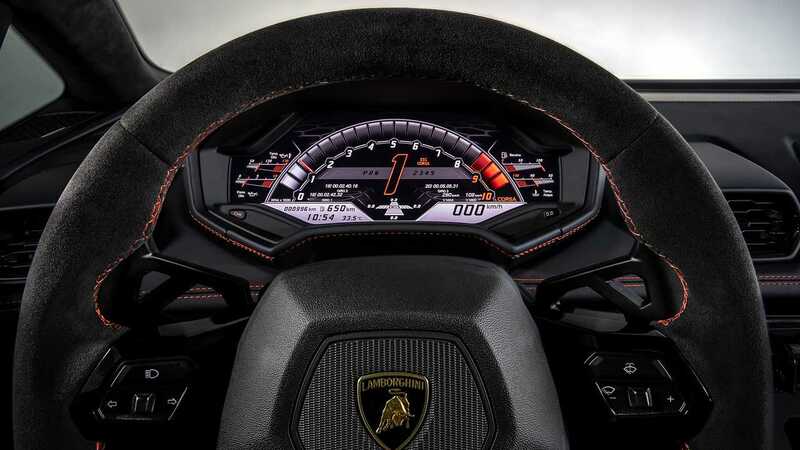 But as Maurizio Reggiani, Lambo’s chief technical officer tells Motor1.com, each additional horsepower must be justified; Lamborghini will only add it if it improves performance and makes the car more fun to drive. Thus, the primary focus for Evo was the vehicle’s dynamics, and not just adding power for bragging rights. While the Evo doesn’t get the ALA active aerodynamic system that comes on the Huracán Performante, its aerodynamics do receive an exceptional amount of consideration. Lamborghini gave every element of the car a once over, Reggiani says, and the changes are staggering. There’s a new front splitter with an integrated wing and a new air curtain to help with cooling while also directing airflow away from the front wheels, which can causing turbulence at speed. The underbody is optimised. The back is also reworked, and for all of Lambo’s efforts, the Evo scores six times the downforce and is seven times more aerodynamic than the prior Huracán. Such staggering aerodynamic improvements make us wonder how the standard Huracán actually fared in those departments. Such staggering aerodynamic improvements make us wonder how the standard Huracán actually fared in those departments. The back end of the Evo looks visually distinct. Lamborghini moves the twin exhaust pipes up, which results in a rear end that more closely resembles the brand’s GT3 race cars. While the interior looks familiar, the new capacitive-touch 8.4-inch HMI screen is impossible to ignore. 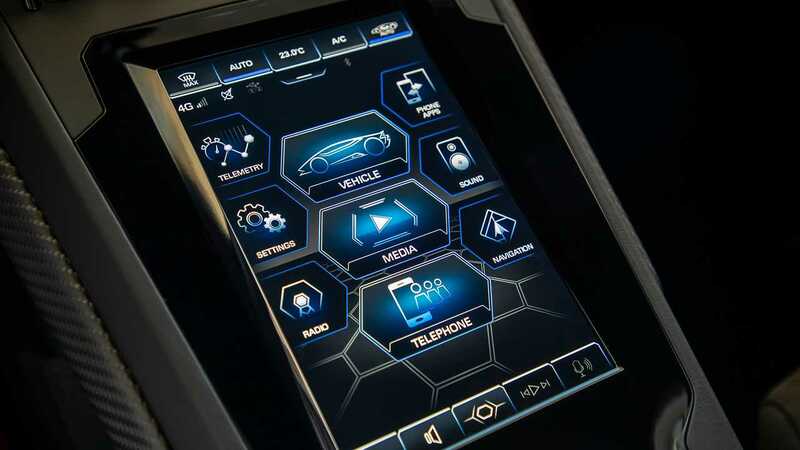 It’s similar to the one you can find on the Urus, and even includes a lap timer with various telemetry details available. Lambo enthusiasts will appreciate a vehicle dynamics page that includes the current steering angle and torque distribution across the axles. The Evo also updates all of the Huracán’s core systems, but – perhaps most importantly – adds three significant new ones. 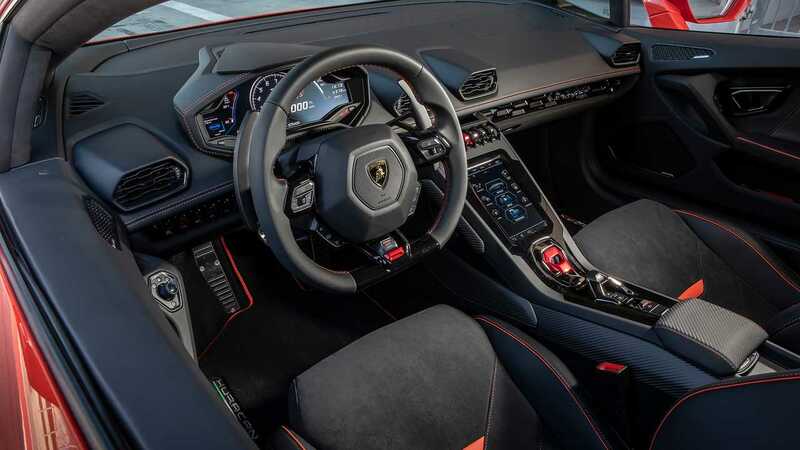 Lambo’s newest car gets a brake-assisted torque-vectoring system and all-wheel steering to help it keep up with the competition. At the heart of all this is the Lamborghini Dinamica Veicolo Integrata, or LDVI. Serving as the new “brain” of the car, LDVI is constantly pulling and pooling data on how the Evo is performing, and subsequently adjusting things accordingly. But more than reacting, Lambo’s engineers tell us LDVI is predicting. In what is a “feed-forward” system, the CPU calls on gyroscopes and sensors that are monitoring the car’s centre of gravity, the wheels, and load transfer in the body roll, pitch, and yaw. All of this info is used to anticipate the driver’s next moves. And while it might sound like Lamborghini is trying to keep pace with McLaren in the technical department, the desired outcome is purely Lamborghini. 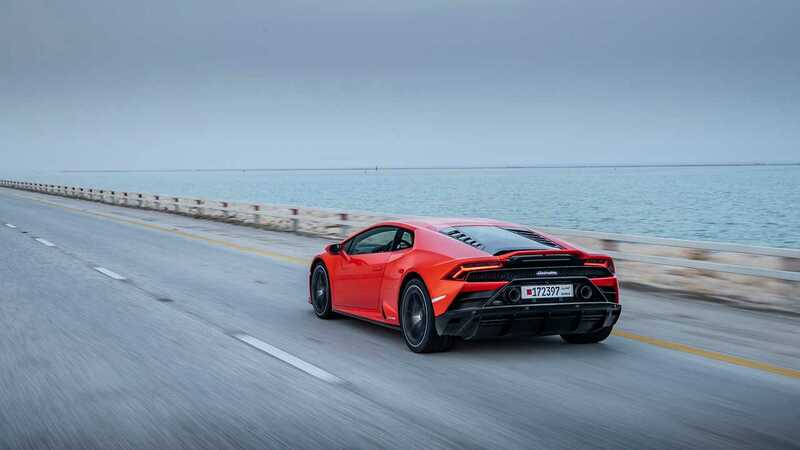 With several laps spread over a full day at Bahrain’s Formula 1 track, we got well-acquainted with the Huracán Evo. The track’s 15 corners, three long straights, and elevation changes are perfect high-speed environments to test acceleration and braking, as well as load transfer. Once in the car, we lift the red ignition cover and press the raucous V10 engine’s start-stop button. Like the standard Huracán, the Evo has three driving modes: Strada for the street or highway, a Sport mode that compellingly growls to life even at idle, and Corsa, which is essentially a track mode. As we had limited time on the track, we skipped Strada in favour of Sport. Like the standard Huracán, the Evo has three driving modes. Trailing a Lamborghini instructor car, we head out of pit lane and approach turn one, where we’re immediately giving the standard six-piston front and four-piston rear calipers their first scrub of speed against the massive carbon-ceramic discs before we take a hard-right into the first turn. The braking response is reassuringly sharp. It’s needed on a car that can hit 60 mph in just 2.8 seconds and boasts a 201 mile-per-hour top speed. The steering has a variable ratio, but we seem to be in tune with it, as the left-right-left of the next turns are over in a blink. We’re blasting down another considerable straight before employing the left paddle, downshifting the seven-speed dual-clutch transmission to third gear before entering a sharp right in turn four. The Sport mode seems drift happy, as the Evo’s back-end effortlessly skids its way through corners and leaves just a little bit of the Pirelli P Zero Corsas behind as we progress. It’s good to see the middle child setting is still willing to allow some shenanigans. Despite this, the car is always within control. 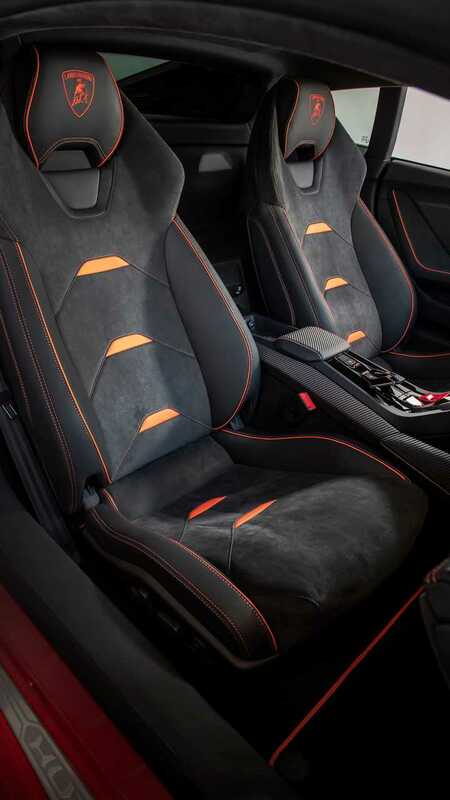 This is more a credit to Lamborghini for making the Evo’s handling both accessible and fun. The third of the steering-wheel-mounted driving modes is Corsa. Meant to be the sharpest mode, we find it to be more of a “Sport plus” than “race mode.” The engine note is still gloriously loud, but the tail still seems a little more willing to let loose. 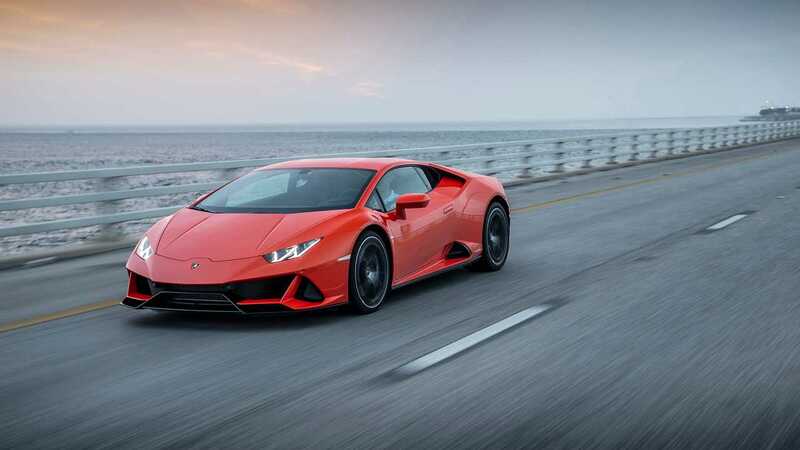 Lamborghini has a standard Huracán available for us to test on a figure-eight course while evaluating the Evo, and our time with it further magnifies new car’s progress (or evolution, if you will). The unevolved Huracán instantly reminds us of what a fun and emotional car it was to begin with. But once in the Evo, the distinction between the two cars is clear. We’re able to get in just a little closer to the cones, and go just a little bit more hastily around them, too. A run on a slalom course further highlights the agile and nimble qualities of the Evo versus its predecessor. 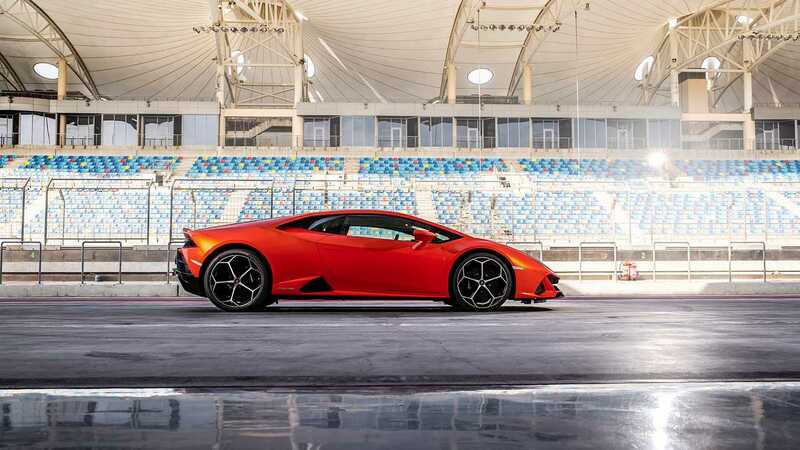 When the 2020 Lamborghini Huracán Evo arrives a little later this year, it will add a host of new technologies that make it the most advanced Lambo yet. But more importantly, the Evo dials up the emotional quotient with its nimbler, more playful personality. Despite an abundance of performance, the Evo makes driving a 630 bhp beast approachable to drivers of varying skill levels. Truly an evolved Huracán, the Evo is quite aptly named. 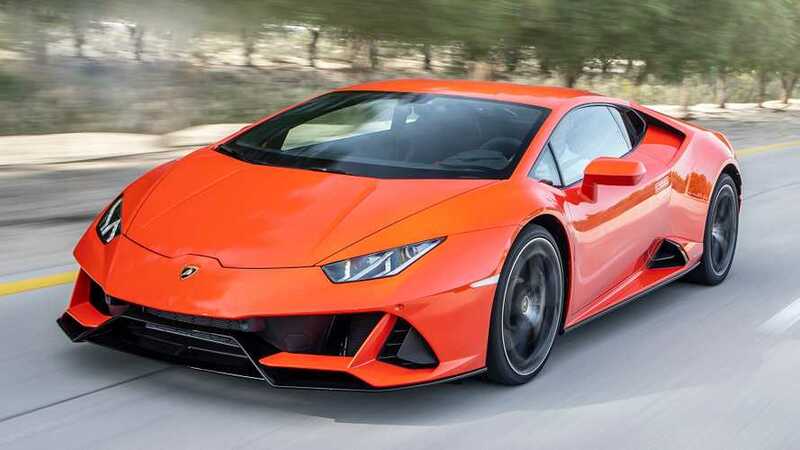 Look for the 2020 Lamborghini Huracán Evo to start at £165,256.